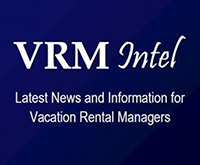 Yesterday, VRM Intel -- the leading, independent source for vacation rental industry news -- published a glowing review of the 2014 LiveRez Partner Conference. The article includes a great summary of the conference, mixing in pictures of the event and quotes from LiveRez partners and industry professionals. Find out what the leading source of vacation rental industry news is saying about the conference. Check out the article today! ←2014 LiveRez Partner Conference: The Photos!